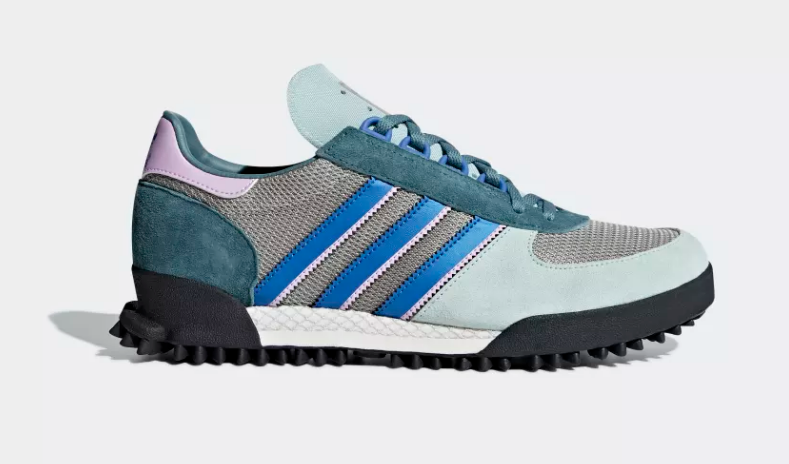 Quick Refresher: The adidas Originals Marathon TR was launched in 1979 and it was adidas very first silhouette in the trail running catagory...hence the TR. 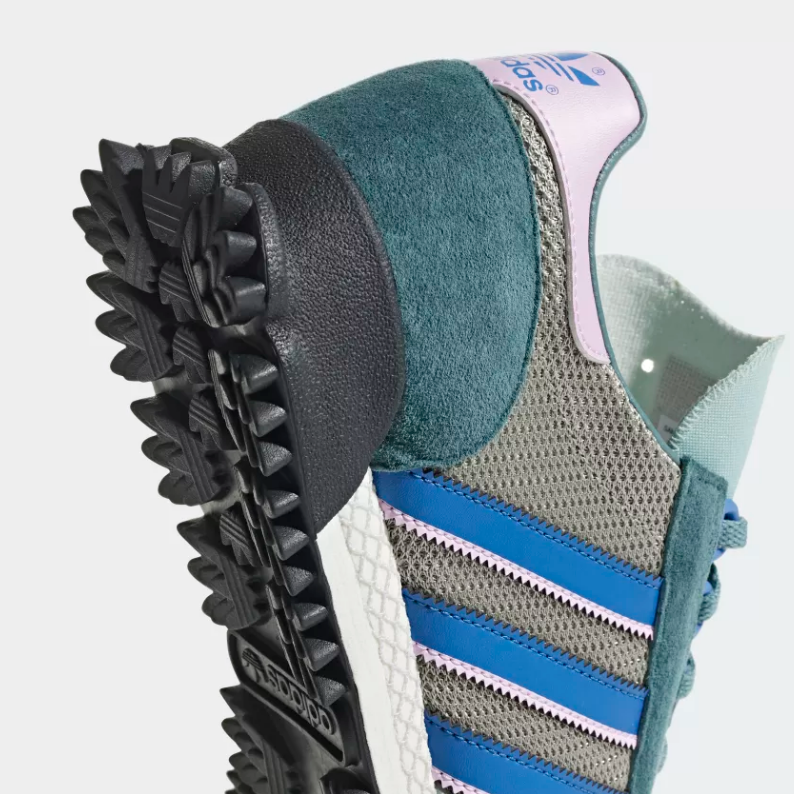 Two of the stand out features where the 'Trefoil' tread pattern on the outsole. At the time this was huge statement as with every step, every Marathon wearer was stamping the adidas brand into the track and this really created a signature with the 3 Stripes stomping on the competition. The second was the Ghille lacing system. The plastic 'D' rings make lacing quick, easy and super convenient for the wearer. This 'Ash Green' model featured today uses 3 pastel colours in green, blue and pink with absolute harmony and panache on this rugged trail performer. 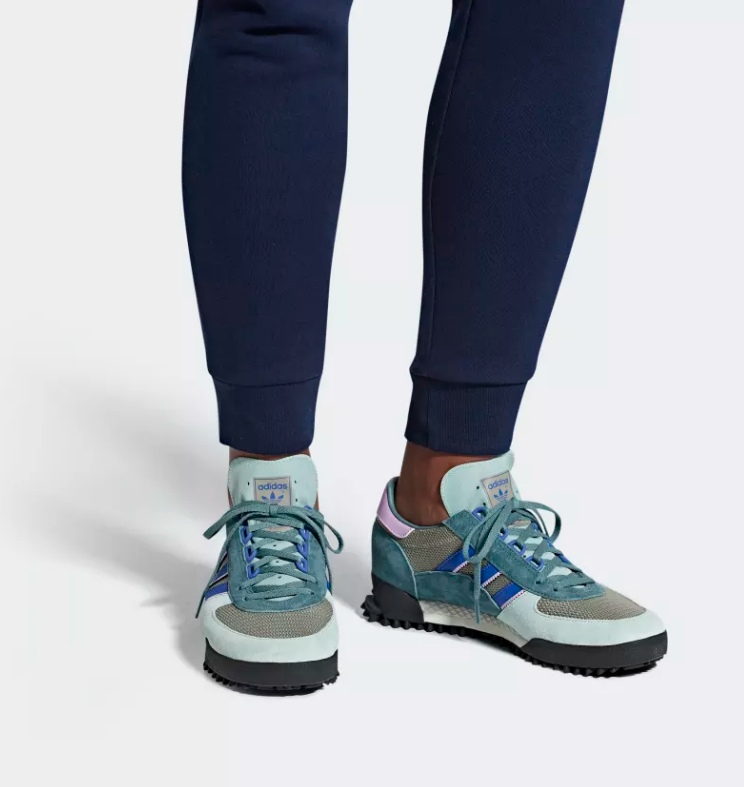 The colour palette is perfect for that contemporary fashion piece, and less appropriate for the muddy goo of trail running in the autumn months....we recommend you dress these with denim or cropped Chinos for that stylish urban look.